During the 9th five year plan beginning 1997-98, the construction of three Eklvya Model Residential school for tribal students was taken up. This were located at Dihuphar in dimapur district, Tizit at Mon and at Tuensang town. a) Comprehensive physical, mental and socially relevant development of all students enrolled in each and every EMRS. Students will be empowered to be change agent, beginning in their school, in their homes, in their village and finally in a larger context. c) Support the annual running expenses in a manner that offers reasonable remuneration to the staff and upkeep of the facilities. d) Support the construction of infrastructure that provides education, physical, environmental and cultural needs of student life. In pursuance of the central guidelines the state government has set up a state level board of directors and district level SONTWERI Standing Committee in all the three districts to monitor the activities and functions of the schools. 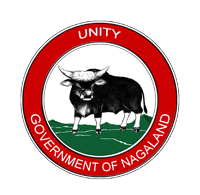 The state of nagaland tribal welfare education and residential institution (SONTWERI) takes care of the functioning of the school which is a registered society under the department of social welfare. The department of Social Welfare is the nodal department which oversees the functioning and that proper care and quality education are being provided to the tribal students in these 3 schools. To determine the qualifications of the candidates to be recruited to the post of teachers and staff members. Regulate the condition of service of the staff of the society and its affiliated institutions in respect of scales of pay and allowances, leave, sanctions of advances, travelling and daily allowances. To manage the properties of the society. To determine the procedure to enter into agreements for the furtherance of the society. To repare and execute detailed plans and programs for the furtherance of the objective of the society. To determine the procedure, conditions and terms to affiliate to the society any institution having objective similar to those of the society or to recognise any other institution. (i) The committee shall carry out the functions relating to the effective running of the school uunder the district. (ii) The committee shall discharge such other functions as may be assigned to them from time to time by the board of directors. Admission to these schools are through selection/competition with suitable provision for preference to children belonging to Primitive Tribal Groups, first generation students, etc.